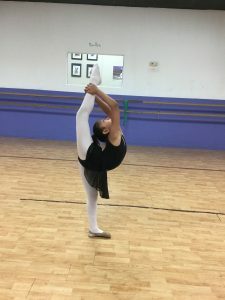 Flexibility and stretching are essential for all dancers to to able to perform challenging choreography and technique. It is an important part of all styles of dance training and performance. If you want to improve your ﬂexibility, and see real results you will need to stretch AT LEAST 3-4 times a week, or preferably EVERY DAY. Below is also a weekly stretching chart. 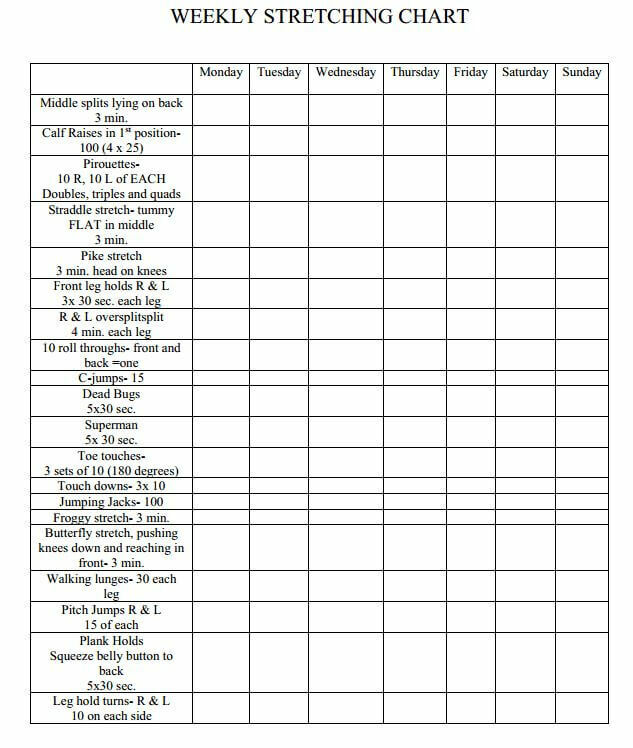 Print it out and keep track of your progress. See how quickly your ﬂexibility improves!